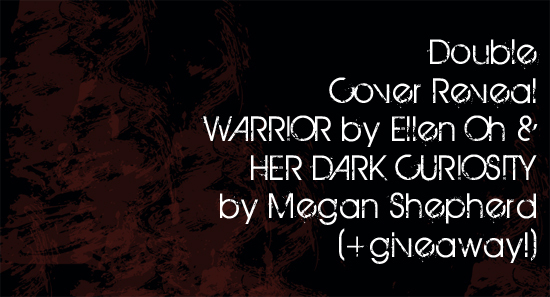 Last year we did a joint cover reveal for Ellen Oh's PROPHECY and Megan Shepherd's THE MADMAN'S DAUGHTER. So when the covers of their sequels came in, we thought we'd do another joint reveal. I can't wait for you guys to see them! Hello YABC! Last year, Ellen and I were blown away by the response to our joint cover reveal. So many people checked out our covers that we crashed the site…repeatedly! (Sorry, Mandy!). So this year we knew we wanted to come back and share the covers to our sequels with you, and thank you for all the great support and enthusiasm over the last year. I was so thrilled with the cover for THE MADMAN’S DAUGHTER that I had no idea how the HarperCollins design team would top it for HER DARK CURIOSITY…I love what they’ve done with keeping the red sash but making the dress black, and using a foreboding London skyline. I get chills just looking at it, and especially knowing about all the dark secrets inside that I hope you all will love, too! When I first saw the cover for Warrior, I think my mouth dropped open in awe. I was blown away by how beautiful it was. I think that HarperCollins in general makes beautiful covers (look at Megan’s!) 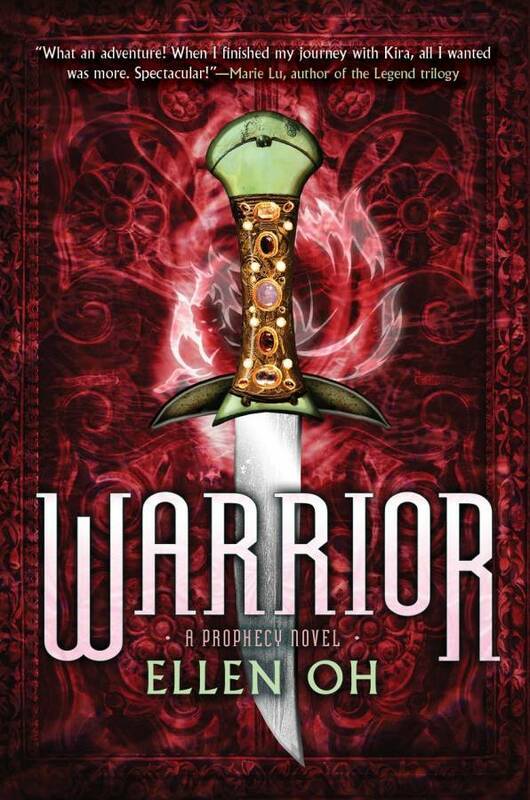 and I loved my Prophecy cover, but Warrior took my admiration to an entirely new level. I bow down to my art design team at Harper. They are clearly brilliant people. I couldn’t even tell you what I love most about my cover because it comes together in perfect harmony. The rich gorgeous color, the intricate and beautifully detailed dagger, and the mysterious kumiho (9 tailed fox demon from Korean mythology) all invoke the perfect feeling for WARRIOR. If ever there was a cover for an author to be in love with, this would be it! Are you guys ready to see them? Here's WARRIOR by Ellen Oh! Ellen Oh is an adjunct college instructor and former entertainment lawyer who one day picked up a Genghis Khan biography and was never quite the same again. It was the start of an obsessive fascination with ancient Asian history that led to years of researching, which culminated in writing Prophecy, her first novel. She also loves martial arts films, K-pop, K-dramas, and cooking shows, and she thinks the Last Airbender series was the best animated show ever created. Originally from New York City, Ellen lives in Bethesda, Maryland, with her husband and three daughters and is always on the hunt for a decent bagel. And now HER DARK CURIOSITY by Megan Shepherd! 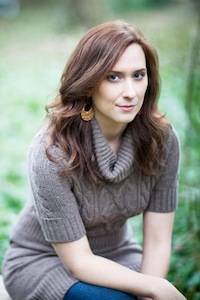 Megan Shepherd is a young adult writer living in the Blue Ridge Mountains of North Carolina. She is the author of The Madman’s Daughter trilogy and The Cage trilogy (Balzer+Bray/summer 2014). Aren't they gorgeous? I just love the lush, vibrant colors in WARRIOR and the bejeweled dagger, and I love the bleak London skyline in HER DARK CURIOSITY. But most of all I can't wait to read what's inside! Press Release: Cover Reveal & Exclusive Excerpt: Royal Bastards (Andrew Shvarts)!! It's Live!! Cover Reveals: The Bounders Series: Earth Force Rising & The Tundra Trials (Monica Tesler) + Giveaway!!! AHHHHHHHHH! I haven't read Ellen Oh's books yet, but I read The Madman's Daughter and just ahhhh! I NEED Her Dark Curiosity! I totally squealed and clapped my hands when I saw this. I can't wait! The covers are both stunning! Holy gorgeous covers! I am so excited for Her Dark Curiosity and that cover works so well with the first! And that synopsis! Wow. Fantastic! They're so amazing! 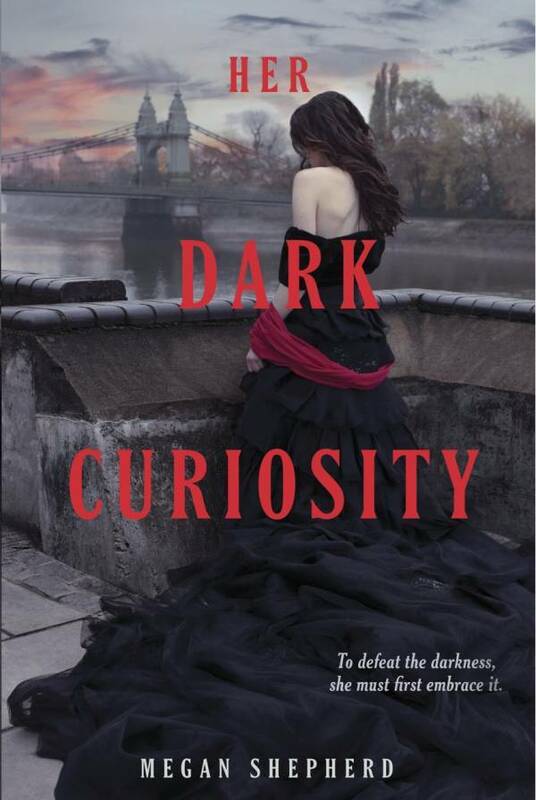 Aaaahhh I just adore Her Dark Curiosity's cover! So pretty!! I can't wait! I haven't read the first in either of these series yet, but they're definitely on the top of my TBR list. Her Dark Curiosity looks, well, dark and I love that kind of thing. And high fantasy is my favorite genre, so I'm really excited for Warrior as well. The covers are magnificent! Warrior is vibrant and bold and Her Dark Curiosity is haunting and beautiful! I can't wait to read them! I can''t wait for Her Dark Curiosity, especially after how The Madman's Daughter ended. HOLY! So so so excited for Her Dark Curiousity! And i didn't think that cover could get any better than the first! EEEEE! The covers are absolutely gorgeous! Am dyinnnng to read Her Dark Curiosity. Love the black dress. Stunning!